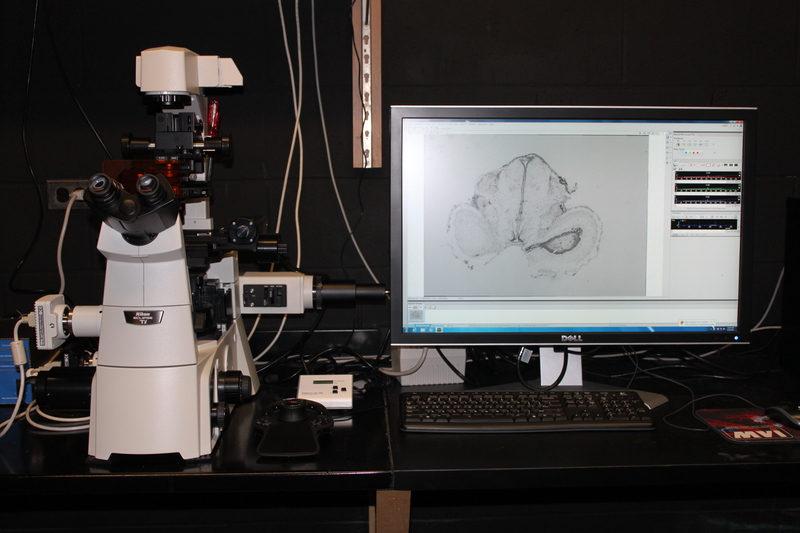 Description: The Nikon inverted light microscope is a research-quality microscope with brightfield, phase contrast, DIC, polarized light, and widefield fluorescence capabilities. The Nikon Eclipse Ti-S microscope is equipped with two digital cameras: a DS-Fi2-U3 digital color camera and a more sensitive DC-Qi1Mc-U3 monochrome cooled digital camera. A motorized stage, an automated filter turret, and the availability of NIS Elements software allows for easy data acquisition and image analysis of larger data sets (z-stack, stitching, time-lapse, etc.). Training consists of hands-on microscope instruction.